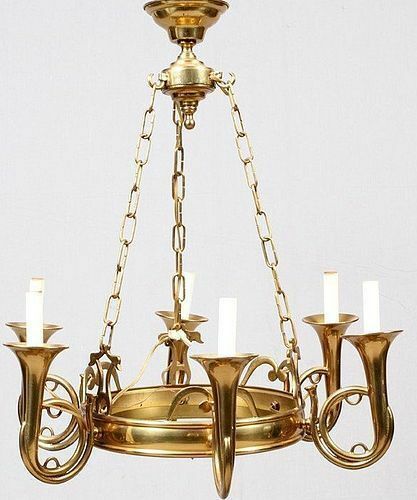 Beautiful solid brass hunt horn chandelier. arms. 25" diameter, 29" drop. Vintage piece, they don't make quality like this anymore! Slight patina, but nice high polish. Freshly wired.